We know-and love-the story of the American Revolution, from the Declaration of Independence to Cornwallis's defeat. But our first government was a disaster and the country was in a terrible crisis. So when a group of men traveled to Philadelphia in the summer of 1787 to save a nation in danger of collapse, they had no great expectations for the meeting that would make history. But all the ideas, arguments, and compromises led to a great thing: a constitution and a government were born that have surpassed the founders' greatest hopes. 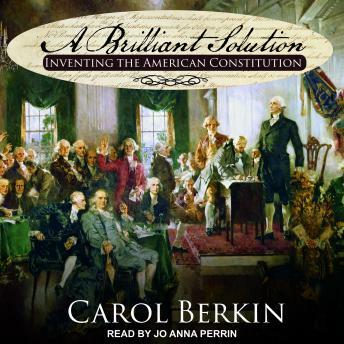 Revisiting all the original documents and using her deep knowledge of eighteenth-century history and politics, Carol Berkin takes a fresh look at the men who framed the Constitution, the issues they faced, and the times they lived in. Berkin transports the listener into the hearts and minds of the founders, exposing their fears and their limited expectations of success.